As you can well imagine, I don't like to throw anything away. 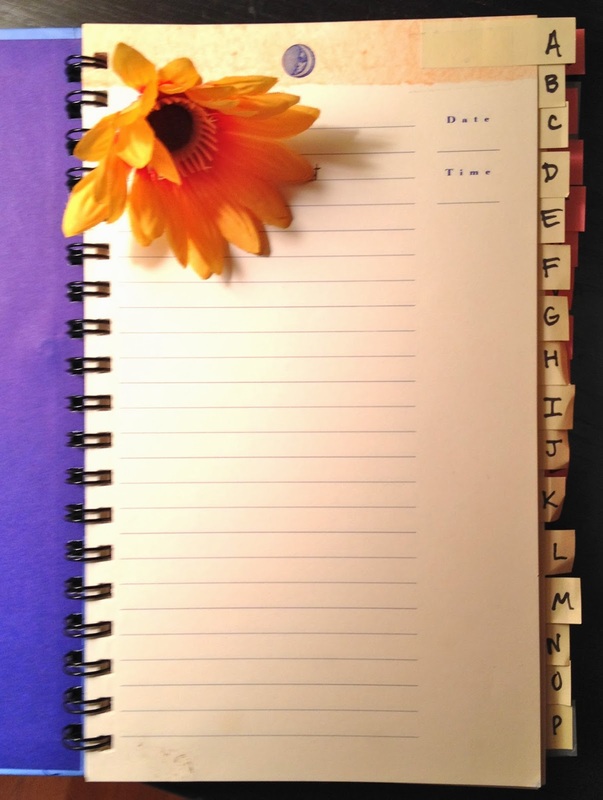 For the past 2+ years I have been keeping my 'client records' in a little dollar store notebook. Convenient because is was small, but not very efficient or now large enough I decided to do an 'upgrade'. I did actually plan to buy a binder or planner of some sort but I didn't really find exactly what I wanted and the things I did find were IMHO too much $$. 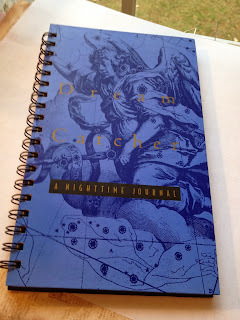 Recently, I was rummaging around and found this 'Dream Catcher' journal my mother in law gave me as a gift about 10 years ago. Nice heavy, lined pages, spiral bound and best of all FREE. 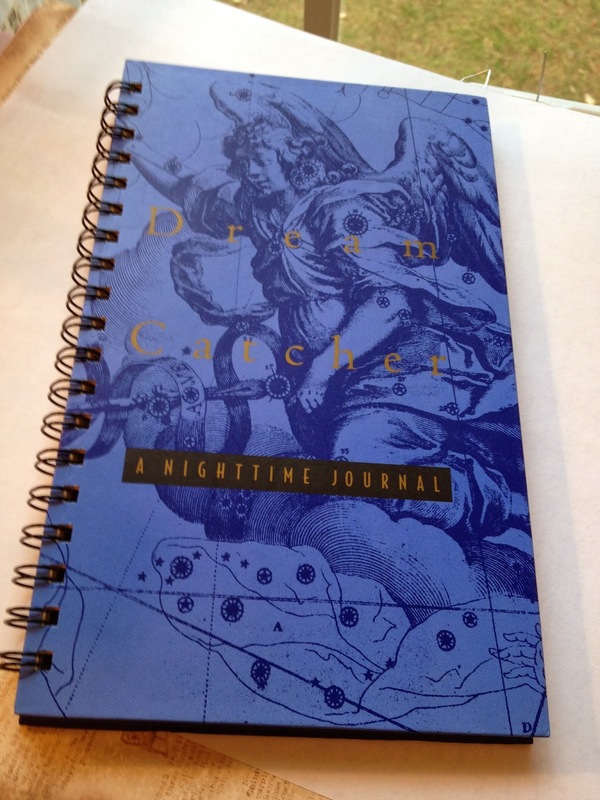 I removed the pages explaining dream symbols and got right to work altering the cover. Sifting through my 'altered art' papers I assembled a collection of favorite images. Then, since this is for my TTE Designs, I thought it would be appropriate to add one of each of the business cards I've had, showing how things have evolved these last few years. A few charms and a gallon of Mod Podge later.... here she is. Now seeing these pictures I think I may add some more doo-dads and trim around the edges too. 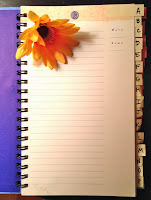 I also made some tabs so I can alphabetize the information. It's not fancy, but it's certainly fun & THRIFTY! This is lovely, Alicia... 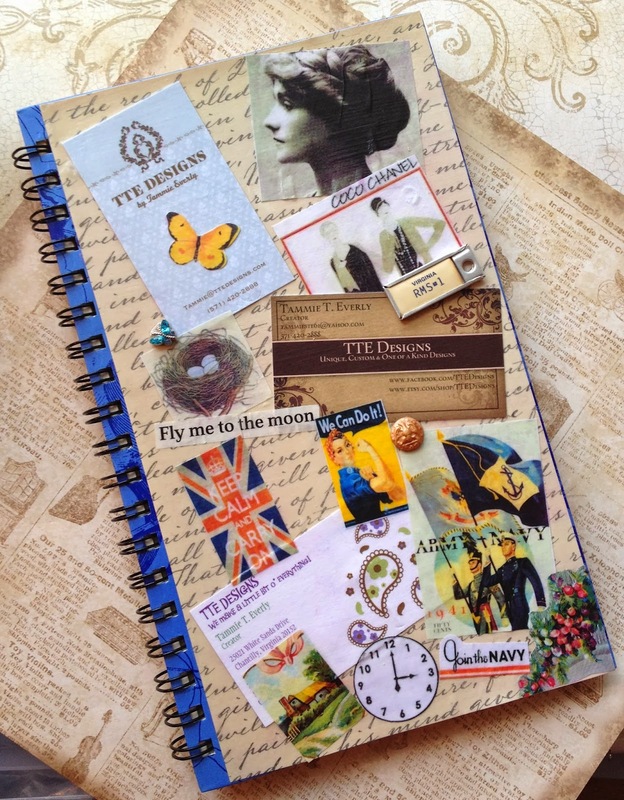 I've wanted to make a binder to store my huge collection of business cards and this gives me loads of inspiration. Those commercial binders are SO boring!